If you are trying to find a rich, bold tobacco flavor then Logic Smoke Deluxe Tobacco e liquid is the one for you. With a high level of old school flavor and a hint of new world taste, you’ll vape this all day and never get tired of it’s full-bodied taste. 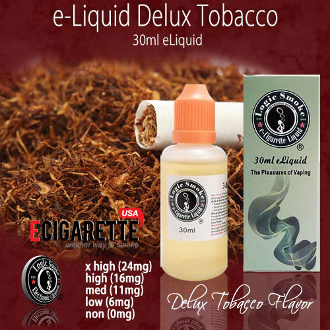 Buy a bottle of Logic Smoke Deluxe Tobacco E-liquid and enjoy.